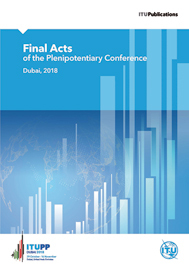 Decisions, Resolutions and Recommendations abrogated, adopted or revised by the Plenipotentiary Conference (Dubai, 2018). 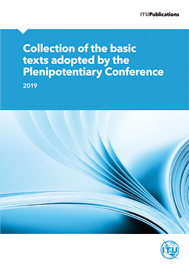 The Constitution and the Convention have not been amended by the Plenipotentiary Conference (Dubai, 2018). 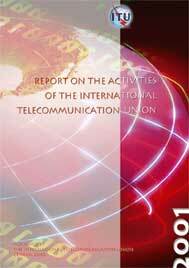 The International Telecommunication Regulations (ITRs) will serve as the binding global treaty designed to facilitate international interconnection and interoperability of information and communication services, as well as ensuring their efficiency and widespread public usefulness and availability. The treaty sets out general principles for assuring the free flow of information around the world, promoting affordable and equitable access for all and laying the foundation for ongoing innovation and market growth. 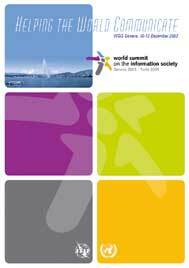 This publication contains the complete text of the Council's Resolutions and Decisions. it also contains three appendices (numerical list of all Resolutions adopted by the Council since its creation, numerical list of all Decisions adopted by the Council since its creation and an analytical table). A reference document containing: a) the Constitution and the Convention as amended by plenipotentiary conferences; b) General Rules of Conferences, Assemblies and Meetings of the Union; c) the full text of the Optional Protocol on the compulsory settlement of disputes relating to the Constitution, the Convention and the Administrative Regulations; d) the full text of all decisions, resolutions and recommendations in force; e) a list of abrogated decisions, resolutions and recommendations. 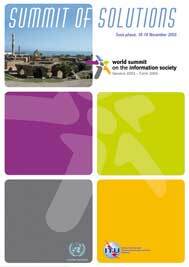 Statistical and operational information on main activities of the Sectors and the General Secretariat, including conferences, meetings and Council activities. 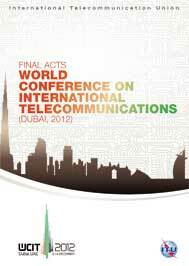 This corporate annual report seeks to give a general readable overview of major ITU developments during 2009. It is provided for general information only, in the interests of heightening general awareness of ITU's work; it is not intended as a complete list of activities, which is contained in the annual report on the activities of the Union to be approved by Council.